At the same time, Chengdu airport is the largest departure airport to Lhasa and the only airport having flights to Chamdo and Nyingchi in Tibet. How much does it cost for the flights to Chengdu China from overseas destinations? As we all know, international ticket prices are particularly volatile. For example, the flight ticket fare for economy class from Tokyo to Chengdu floats between about CNY 2,500 - 1 6,000. It usually takes about CNY 4,000 - 30,000 from Amsterdam to Chengdu by air. The fare flying from Mauritius to Chengdu flows from CNY 3,500 to CNY 20,000. You can get real-time flight ticket prices or prices of more flights via the search box on page top. 1. Start to keep an eye on the flows of flight fare on airline’s websites or some APPs 90 days ahead of departure. Compare the ticket fares more often and kill the cheapest one. 2. Choose to take flights of cheap airlines to save money. But you can’t make requirements about their service, such as the meals and baggage allowance. 3. Order the round-trip tickets if you have planned and arranged your whole trip well, which may help you save much money. 4. 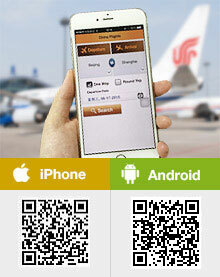 You can call the airlines directly to book tickets and maybe you are lucky to get tickets with special discount. This airport, owning two terminals, is located in the southwest Chengdu City in southwestern China, about 16 kilometers (10 miles) from the urban. Some domestic and international flights take off or land in Terminal 1 and Terminal 2 is mainly for domestic flights. Foreign passengers holing passport of 51 countries and regions are served a 72-hour-visa-free stay when taking an international transfer here. There are 6 airport shuttle bus lines, Metro Line 10 and the intercity high speed trains running to downtown or other areas of the city from the airport. It also offers long-distance bus lines to 20 major cities in Sichuan Province. Hi, do they still have domestic flight from Chengdu to Jiuzhaigou in April 2019? And what is the price for one way and return ticket? Generally, you can see the tickets and the fare about three months in advance. I am trying to connect with a 12:45 pm flight from Chengdu. The only flight I can find gets me there at 12:30, not enough time to change planes. Does anyone know what time the earliest flight leaves JZH? Flight from Chengdu to Jiuzhaigou in October 2017. Do they still have domestic flight from Chengdu to Jiuzhaigou in October 2017? I unable to get information . There are still 3 flights a day, should be 3U8607, CA4487 and 3U8605. Which date are you looking for? You may think about Bangkok or HK. Hello there, I have not seen the flight to/from Kathmandu- Kunming - Kathmandu and Kathmandu- Chendu- Kathmandu. Is there direct journey in between Nepal and CHina? If so why you dont mention it on your website?